GCD (Greatest Common Divisor) or HCF (Highest Common Factor) of two numbers is the largest number that divides both of them. For example GCD of 20 and 28 is 4 and GCD of 98 and 56 is 14. A simple solution is to find all prime factors of both numbers, then find intersection of all factors present in both numbers. Finally return product of elements in the intersection. 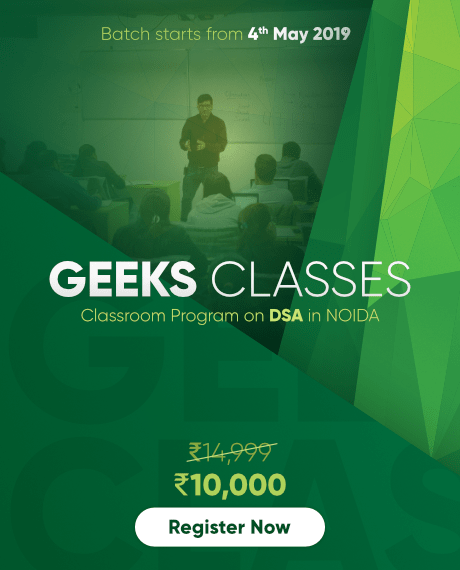 An efficient solution is to use Euclidean algorithm which is the main algorithm used for this purpose. The idea is, GCD of two numbers doesn’t change if smaller number is subtracted from a bigger number. + a +" and " + b + " is "
A more efficient solution is to use modulo operator in Euclidean algorithm . 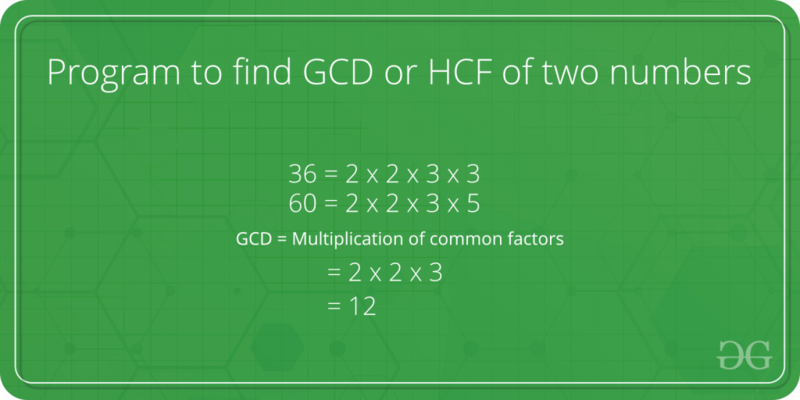 Please refer GCD of more than two (or array) numbers to find HCF of more than two numbers.